SCHOOL VISITS: We bring authors and illustrators into schools to develop literary engagement and provide resources. Details here. READING RESOURCES: We share news about children’s books through regular communications. Join our mailing list! SUPPORT WONDERMORE: Help bring authors and illustrators to underserved Boston Public Schools. Details here. Wondermore cultivates children’s curiosity, creativity, and academic achievement by igniting a love of good books. 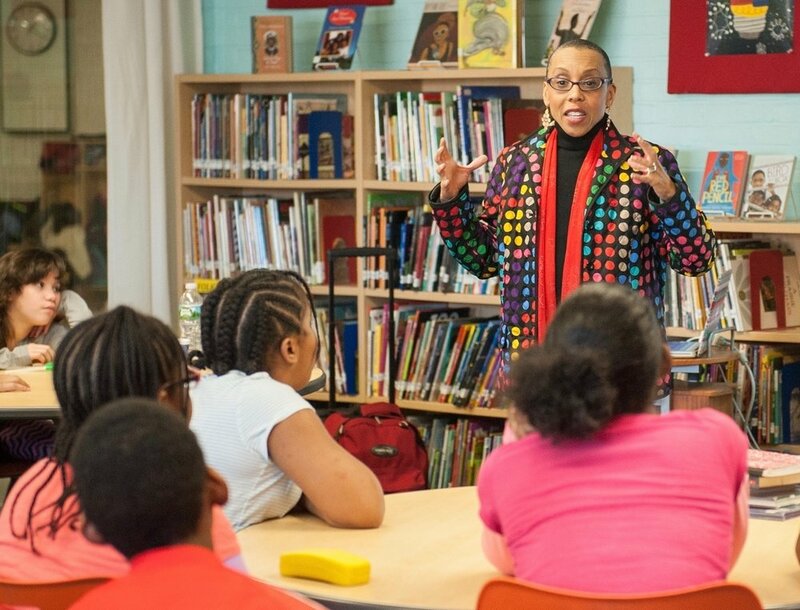 We bring acclaimed children’s authors and illustrators into underserved K-8 schools in Boston for curriculum-aligned visits. To enhance the work we do in Boston Public Schools, we conduct dynamic educational and literacy conferences for librarians, teachers, students, parents, and others who love children’s books. These events are open to the public and feature authors, illustrators, and experts in the field of children’s literature.